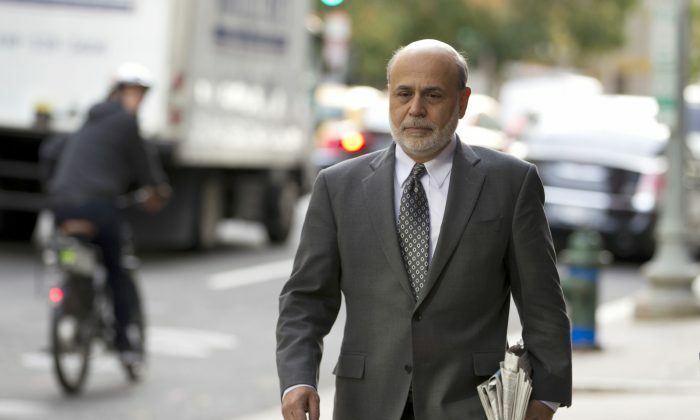 Since leaving the Federal Reserve, its former chairman Benjamin Bernanke has been busy making money. He recently became an adviser for Chicago-based hedge fund Citadel and rumor has it he makes $200,000 for every public speech he gives. We don’t know whether Fudan University paid as much during his appearance at its Shanghai Forum, but his candid talk certainly would have been worth the money, although a bit behind the curve. And people are getting their money out in droves. Gone are the times when people incessantly complained about the Chinese currency being undervalued. Now even Bernanke said it might drop in value. “When opening the capital account you need to make sure the economy is strong enough to handle the fund flows out,” Bernanke said. Since its policy of reforms and opening up, China actually kept its capital account closed. If you trade goods and services, you can deal with foreign currency—which you then have to surrender to the central bank—but ordinary citizens still face limits on how much money they can invest abroad. Of course, these restrictions didn’t stop them and they kept funneling money out of the country—illegally by the trillions. Conversely, foreigners cannot just open a bank account and wire money to China. So far investment has been tightly regulated and restricted as well. All this means is that the bulk of foreign exchange has accumulated on the balance sheet of the central bank, rather than in the hand of private firms and individuals. On the other hand, the bulk of yuan is held by Chinese citizens, mostly in the form of bank deposits. Bernanke and many other market observers have long criticized that there aren’t any capital markets to speak of because the country’s capital allocation is run by the Chinese state-owned banks. As soon as Chinese become dissatisfied with the investment choices they have on domestic markets (real estate, bank deposits, wealth management products, and the stock market), more money is going out. For the moment, China is opening up bit by bit and also propping up its currency because it wants to look good in front of the International Monetary Fund. The fund will give China the chance to join its international reserve currency. And for that, China needs both stability and flexibility.